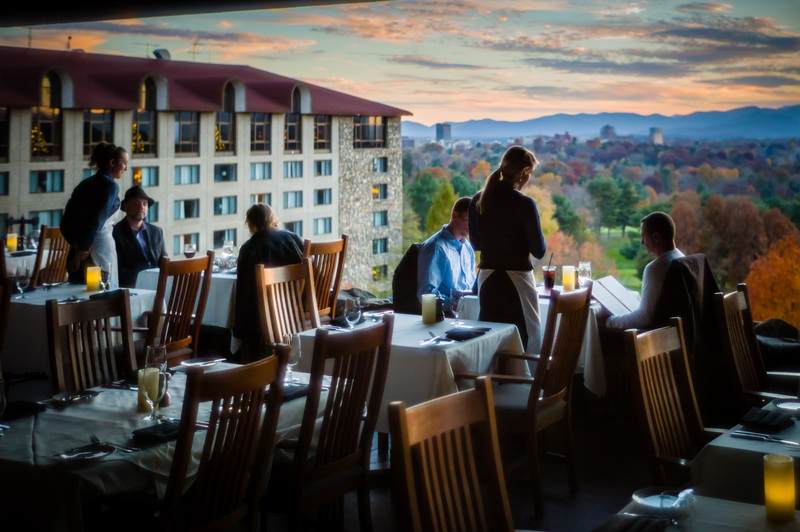 This entry was posted in Asheville, Autumn, Color, Landscape, Leica, Leica M-E, Leica Summilux-M 35mm f/1.4 pre-ASPH, Mountains, Photography, Sunset, Travel and tagged Asheville, Autumn, Fine Dining, Landscape, Leica, Leica M-E, Leica Summilux-M 35mm f/1.4 pre-ASPH, mountains, Omni Grove Park Inn, Photography, Sunset, Travel. Bookmark the permalink. That’s the ticket…..perfect. ………… uh….so hows the Lamb? I didn’t have the lamb but I did enjoy my fish and chips at the Edison Room. Much of your recent work has a strong feeling of presence. It’s not just you that the viewer feels looking at these but the feeling of being there. Aside from the esthetic side of this work, it’s probably very marketable…..
Of course when you show on Broadway , I’ll expect a discount….